"We don't kneel for anyone beyond the Wall." This Game of Thrones Tormund Giantsbane 3 3/4-Inch Action Figure features the strong Wildling outfitted in fur and armed. This detailed action figure features limited posability and stands about 3 3/4-inches tall. 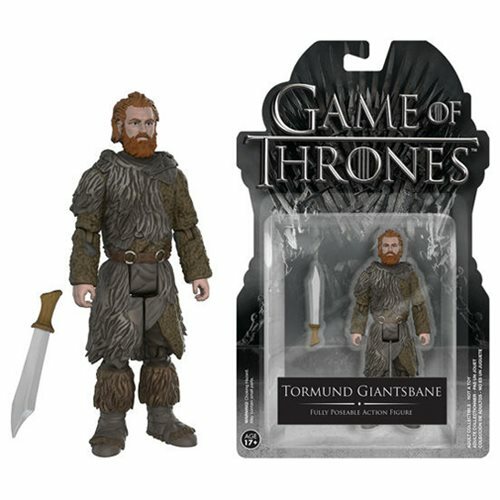 Make your move in the Game of Thrones with the Tormund Giantsbane 3 3/4-Inch Action Figure! Ages 17 and up.